Cabbage has been on my mind a lot lately, and I’m not sure why. 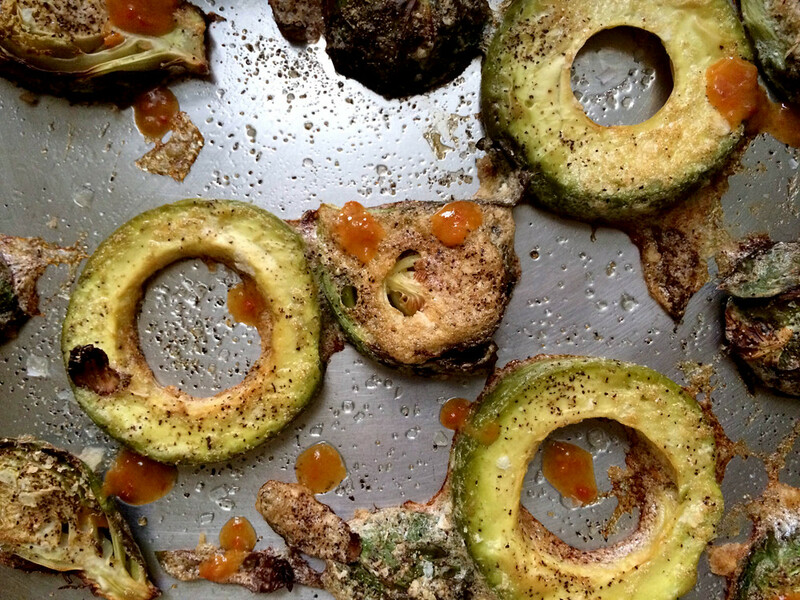 I recently watched an old episode of the Japanese “Iron Chef,” and also saw this great looking recipe over at the Amateur Gourmet. 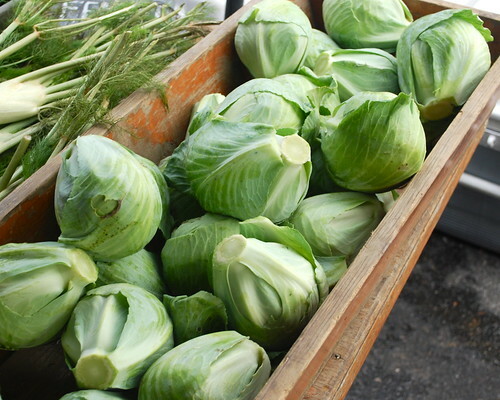 At the market this morning one of the vendors had these perfect little heads of cabbage — I don’t know if it comes through in the photo, but these are about the size of a large grapefruit. 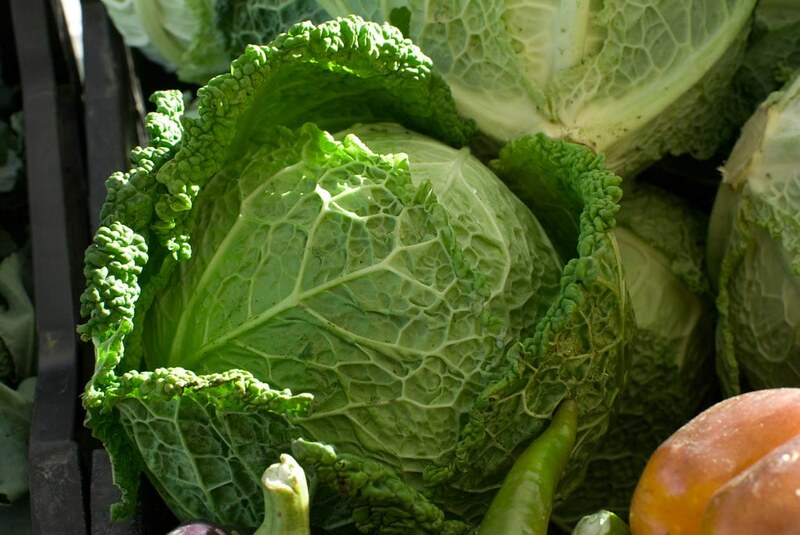 Cabbage is often associated with poverty, and maybe that’s ok — it’s cheap and versatile. I think kimchee may be my favorite cabbage application, but it’s good in soups, or sauteed in butter, or shredded into a curry. 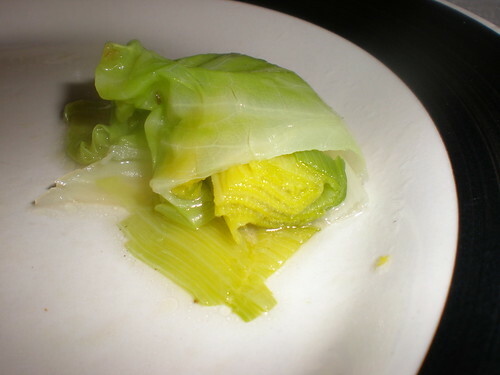 Well matured leeks are boiled with a pinch of salt in water and oil… Wrap the leeks well in cabbage leaves… They are then stewed in oil and in the best kind of broth, and served.